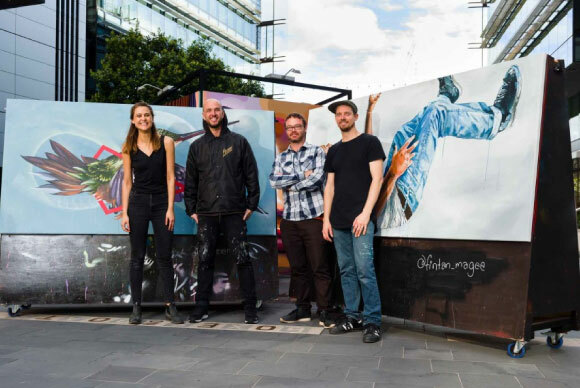 In September, Vans the Omega, Gemma O’Brien, Apeseven and Fintan Magee joined the impressive ranks of Project Five artists past as the initiative’s most diverse and intriguing line-up to date. 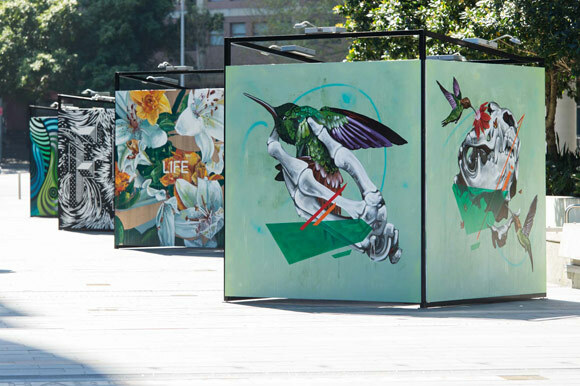 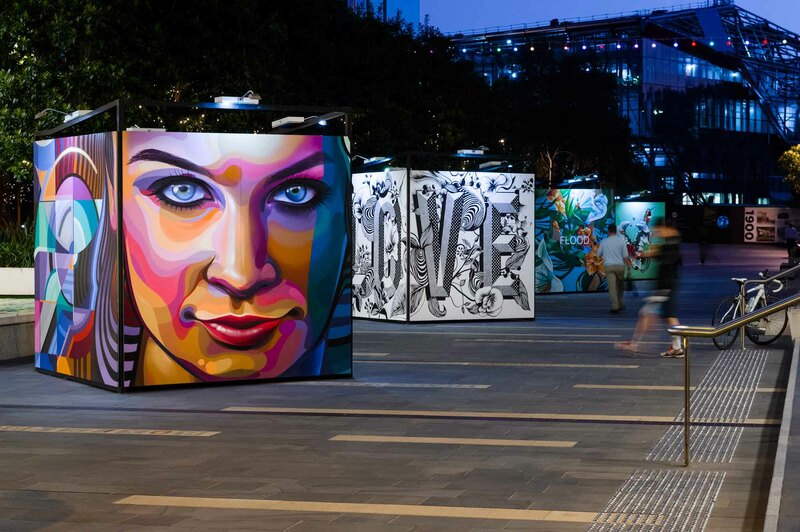 Located at and presented in collaboration with Sydney’s cultural hub Darling Quarter, Project Five Volume 7 launched on the evening of Friday 18 September with a free public opening event, where the Project’s three-day live painting event began. 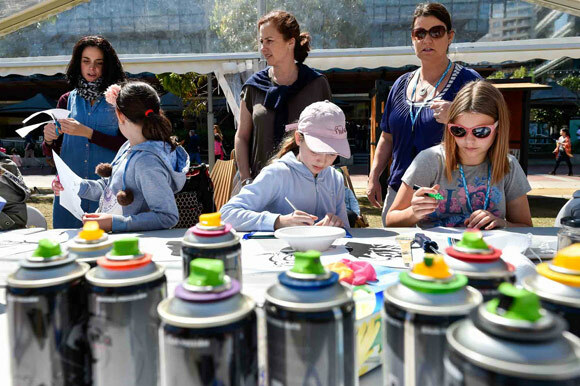 Throughout the duration of Project Five Volume 7, sixteen original artworks by each Volume 7 artist were on display in our outdoor exhibition space OPEN, located in Darling Quarter’s Civic Connector, and Sydney’s littlest artists had the opportunity to learn new art making techniques from professionals at the Kids’ Urban Art Workshops. 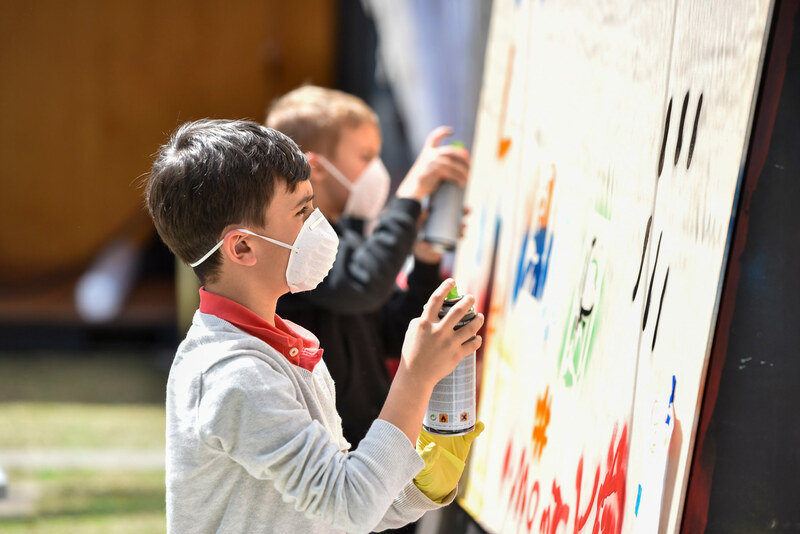 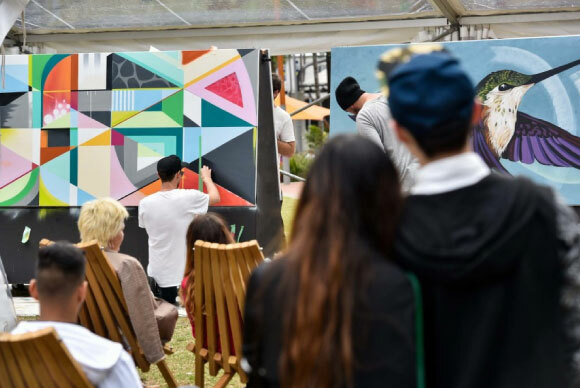 At the conclusion of Project Five Volume 7, the four artworks created during the live painting event were sold at a public charity auction, with all proceeds dedicated to a local non-profit arts organisation. 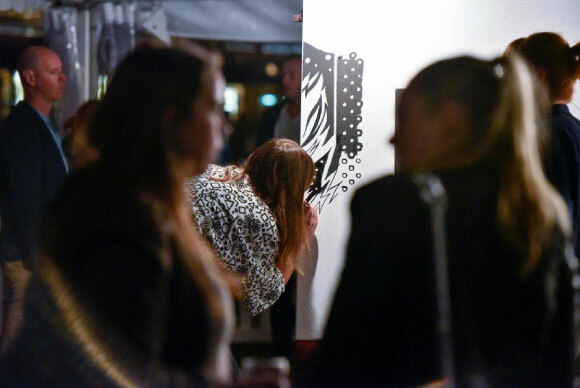 So far, Project Five has raised over $95,000 for youth arts programs through its auctions. 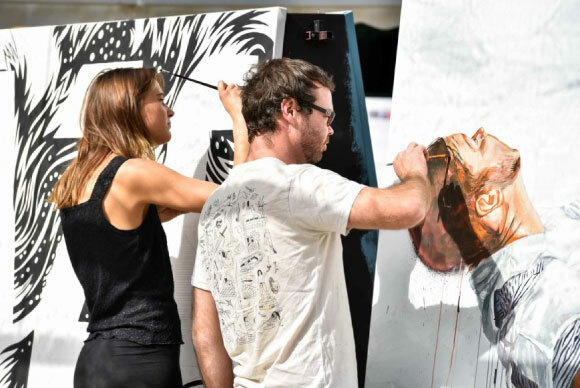 Visit the website here for the full story.